As the Mexican Riviera begins to regain its popularity as a destination, Carnival Cruise Line is dedicating more resources and ship capacity to its California homeport of Long Beach. Already, it has the Carnival Imagination and Carnival Inspiration year-round and Carnival Miracle seasonally deployed from the Los Angeles area port. 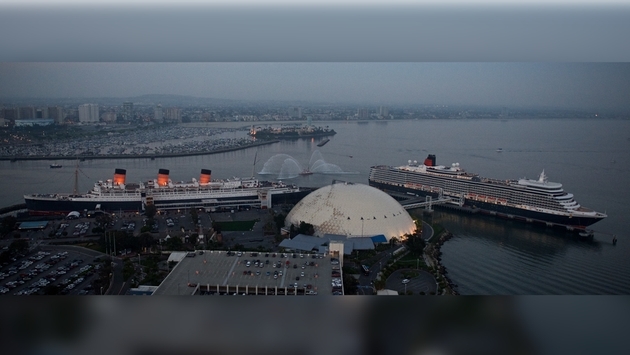 Since 2003, Carnival has operated from a pier attached to the geodesic dome that once showcased Howard Hughes’ “Spruce Goose” aircraft as a museum and adjacent to the permanently-moored classic Queen Mary ocean liner. Until now, Carnival has only utilized a portion of the dome for embarking and disembarking passengers, but come 2017, the brand will utilize the entire facility to accommodate larger vessels. Carnival has signed an agreement with landlord Urban Commons and the City of Long Beach in order to up its 66,000 square feet of usable terminal space to 142,000 square feet. Most helpful will be the ability to handle two-way operations, simultaneously accepting new guests while previous ones depart. In the past, embarking passengers have had to wait outside to be processed only after the others have left. The construction necessary to make the alterations is scheduled to be completed in late 2017. What is unclear is why the cruise line had not considered San Diego or San Pedro as alternatives during that time, both of which have more substantial facilities for handling larger numbers of travelers. In fact, Carnival had previously used San Diego as a homeport. Perhaps corporately, Carnival decided to leave San Diego more to Holland America Line and San Pedro more to Princess Cruises. Ether way, Carnival Cruise Line is already planning a specific larger ship to soon take advantage of Long Beach’s improved port. As the Carnival Miracle will be redeployed to Tampa, Florida in 2018, the 41 percent larger 3,006-guest Carnival Splendor will replace it on the west coast, effectively increasing capacity in both markets. The Splendor, now year-round from Long Beach, will then pick up the weeklong Mexican Riviera roundtrips from California starting on January 27, 2018 in addition to embarking on 14-day Hawaii sailings. “Tampa and Long Beach are both highly convenient and popular homeports and we’re delighted to provide our guests with exciting new year-round cruise vacation choices in these two markets,” said Duffy. Meanwhile, the Carnival Imagination and Carnival Inspiration will continue to operate on short 3- and 4-day getaways from Long Beach. 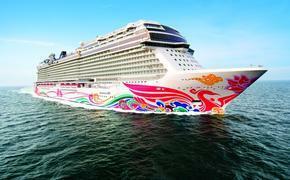 Collectively, the three California-based ships will provide up to 700,000 travelers a fun cruise experience annually.